Maybe it’s part of being a New Yorker, but we’re digging a black ensemble even for summer. There’s something timeless and sleek about an all-black outfit, and no, it’s not boring at all! 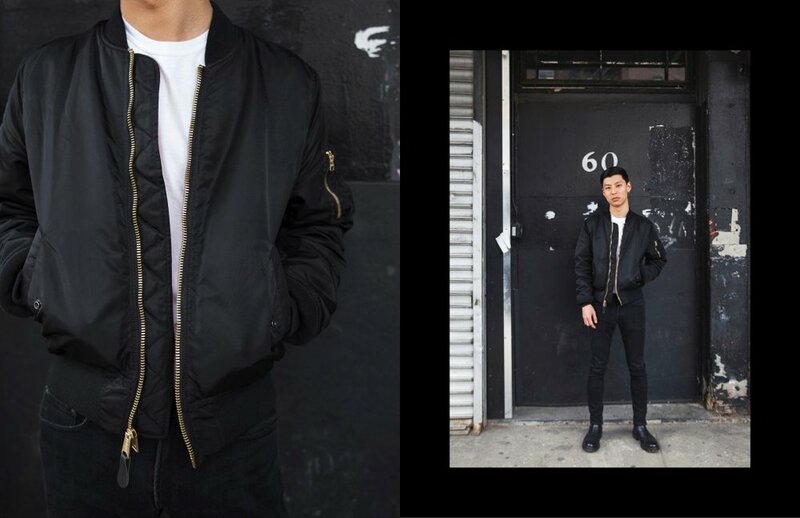 In fact, you can get incredibly creative with experimenting different textures and layering styles – the classic white T-shirt or black turtleneck with a bomber, leather jacket, skinny jeans and chelsea boots. 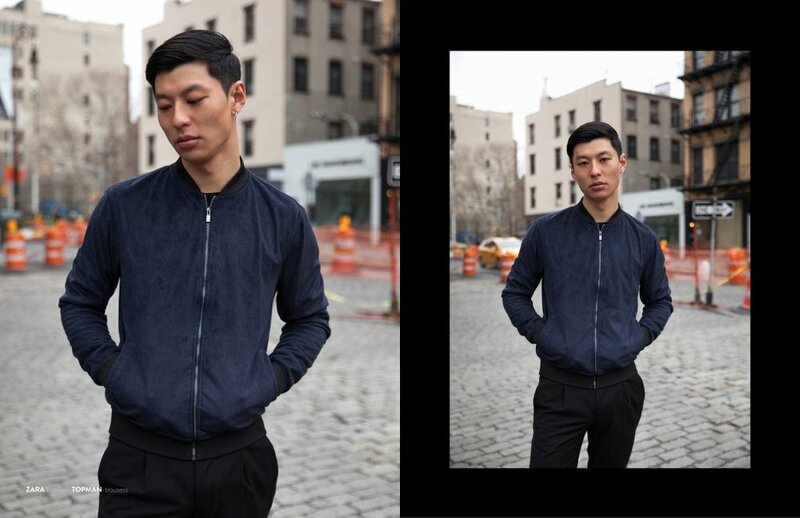 Without further adieu, check out the second Mochi men’s photoshoot, set in the industrial Meatpacking District of New York City.